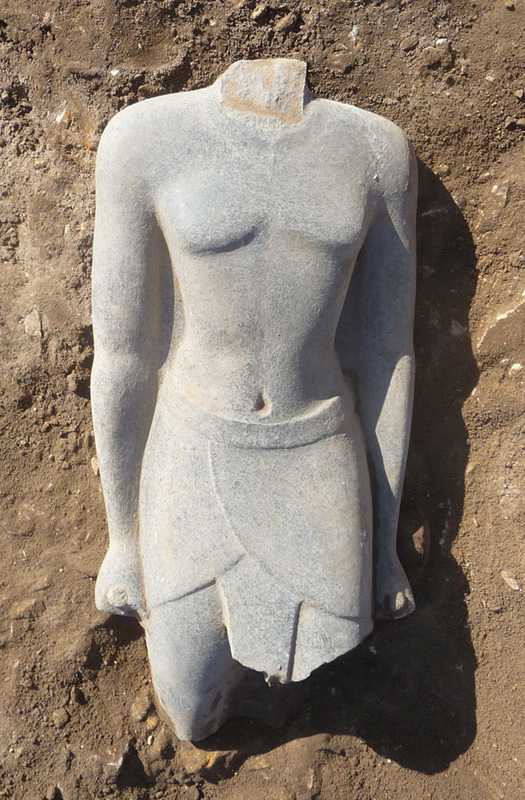 Dr. Mohamed Ibrahim, Minister State of Antiquities, announced the discovery of a royal black granite statue of 125 cm height in the Temple of Arment. The discovery was made by the French mission (CNRS/CFEETK) working in God Montu temple directed by Christophe Thiers. 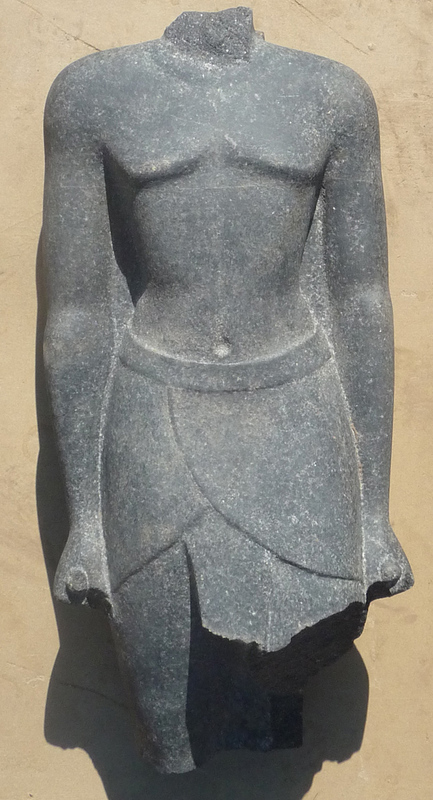 The statue represents the King standing and the artistic features and carving style indicates that it could be dated to the New Kingdom. The Minister requested that the work on the site to continue hoping to find the other parts of the statue. Meanwhile, the statue will be stored at a warehouse in order to document and restore it. The town of Arment, Known as Iuny in Ancient Egypt and Hermonthis in Greek is located 12km south of modern Luxor. The temple dedicated to God Menthu of war was established in 11th Dynasty; new additions were added during different eras including New kingdom and the Ptolemies. Under Cleopatra VII, Hermonthis became the capital of the 4th Upper Egyptian nome. The city remained in use during Coptic era.